What were Dinosaurs? When did they live? Why don't we see them stomping around today? 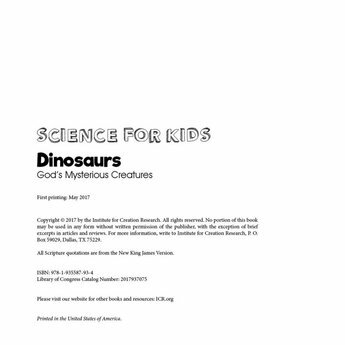 Dinosaurs: God's Mysterious Creatures answers these fascinating questions and more! This is a downloadable eBook and not a physical resource. What were dinosaurs? When did they live? Why don't we see them stomping around today? 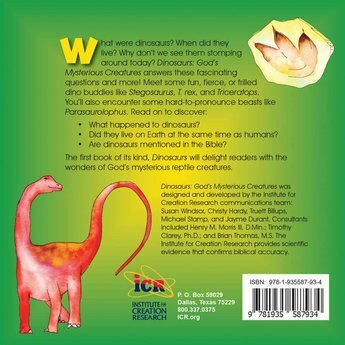 Dinosaurs: God's Mysterious Creatures answers these fascinating questions and more! Did they live on Earth at the same time as humans? 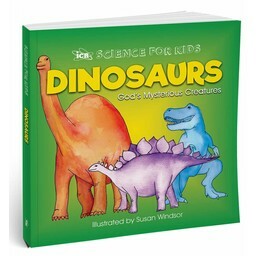 The first book of its kind, Dinosaurs will delight readers with the wonders of God's mysterious reptile creatures. 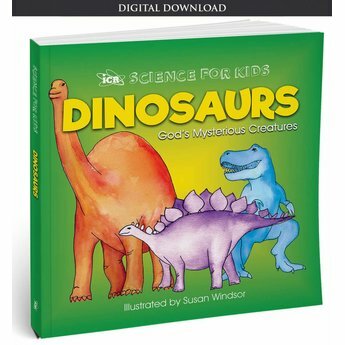 If you prefer, this resource, Dinosaurs: God's Mysterious Creatures, is also available in physical form and can be shipped directly to you. It's a really great book. My 9 year old son has learned a lot. He insisted that we leave this review! He received the book 3 days ago and read it in 2 days! It has a lot of facts and great illustrations. It is not a super simple read nor a hard read. 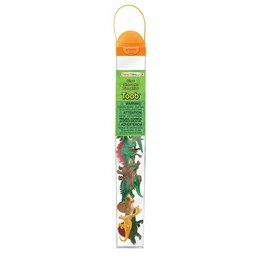 It is perfect for children! Thank you for such a great educational and fun book! We got this book 2 weeks ago and our 2.5 year old son had been asking to read it every single day. He loves having us read it to him, especially the last section of the book with the dino classifications. We received it for free through our church, but would gladly pay what ICR is asking for it! It's worth every penny. The book is chock full of wonderful Biblical truths countering the worldly "scientific" views we are pummeled with on a daily basis. Buy it! You won't be sorry. The first thing you’ll notice about this book is its compact size and bright colors. The whole layout including the choice of fonts lets you know the authors had their young readers in mind. 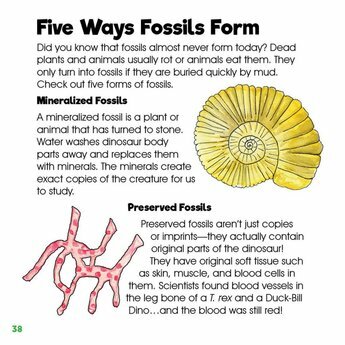 The book really shines towards the end when it takes time with individual species, sharing vital stats and fun trivia bits about how they lived, what made them special, or details of how the fossils were found. 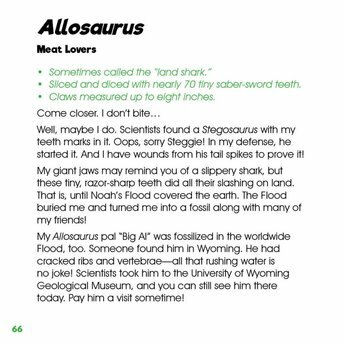 The vocabulary isn’t too bad (except for the dinosaur names, of course); I’d put it at a 3-4 grade level, but I really wish they had been careful to break things up visually. There is a watercolor drawing on each two page spread, but the words tend to be in large full-width paragraphs making it a little hard to follow for young eyes. The way this book works best is as a read-aloud with you sitting next to your young learner and them just enjoying the pictures while you tackle the words. 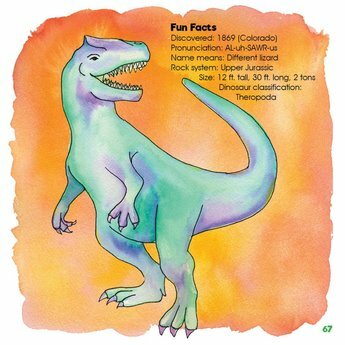 Speaking of which, the section with each individual dinosaur does well with this, but there were several places near the beginning where dinosaur terminology was introduced without any pronunciation guide! Do *you* know the correct way to say Marginocephalia?!!! Naturally, since this book is produced by the staff at ICR it does a good job presenting the case for the Fall of Man, the World Wide Flood, the age of the earth as less than 10,000 years, and a basic explanation of the Gospel. All are presented briefly in bite sized sections perfect for presenting these concepts for the first time. 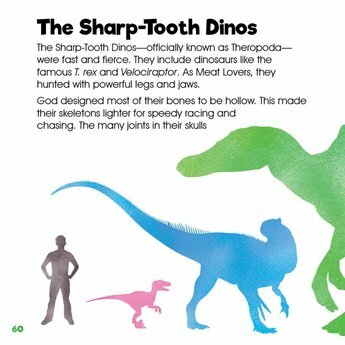 A few hours spent with this book will equip children and the casual reader with the basic reasons creationists reject uniformitarian evolutionary thinking and a positive case for dinosaurs recent existence. 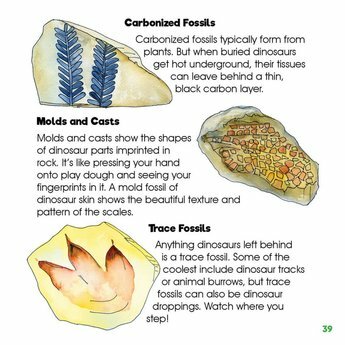 It will introduce young students to the basic types of dinosaurs and give them lots of interesting trivia to amaze their friends and family. Is this book up to a head on challenge against National Geographic’s or DK’s ability to hold young attentions with amazing graphics and layout? 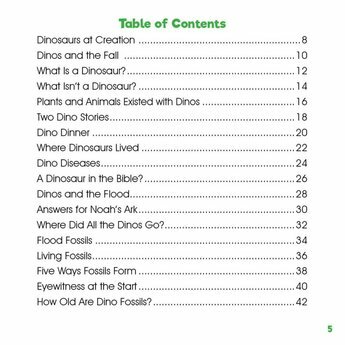 Not even close (ICR's Guide to Dinosaurs does much better on that). Is it something that can help your family understand the facts behind the assumptions those companies never let kids hear about? Absolutely. Disclaimer: I received a free copy of this book from ICR in exchange for this review. They didn’t tell me what to say and I’m keeping my copy on the shelf for my kids to enjoy.